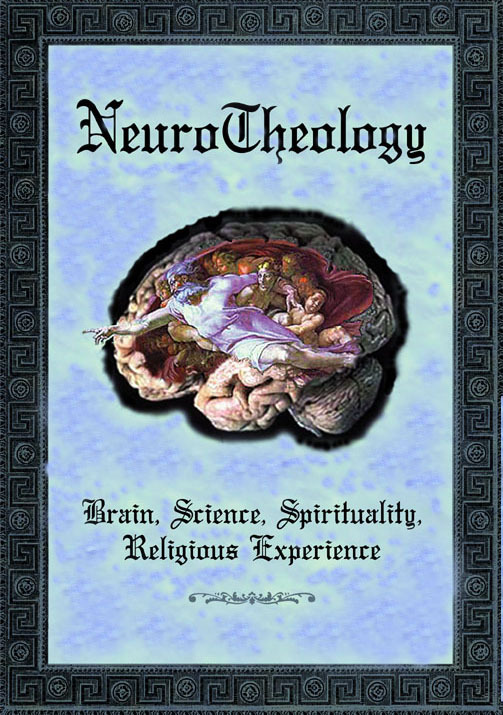 In the ground breaking text, Neurotheology, and in his 1996 text, Neuropsychiatry, Dr. Rhawn Joseph provided extensive evidence linking the neurology of dream sleep to mystical experiences that occur during waking, including "near death" and out-of-body experiences. More recently, Dr. Kevin Nelson and a research team at the University of Kentucky have studied the link between out-of-body experiences, the sleep-wake transition and near death experiences, and published their findings today in the March 6 issue of the journal Neurology in their case report, "Out-of-body experience and arousal." The results are intriguing, and show that some people's brains already may be predisposed to these sorts of experiences. They found that an out-of-body experience is statistically as likely to occur during a near death experience as it is to occur during the transition between wakefulness and sleep. Nelson suggests that phenomena in the brain's arousal system, which regulates different states of consciousness including REM sleep and wakefulness, may be the cause for these types of out-of-body displays. "We found it surprising that out-of-body experience with sleep transition seemed very much like out-of-body experience during near death," Nelson said. For their study, the team conducted structured interviews with 55 people who have had a near death experience. They found those who had an out-of-body experience along with near death were more likely to also have had some sort of REM intrusion in their lifetime, where instead of passing directly between the REM sleep state and wakefulness, the brain switch blends these states into one another. To survey out-of-body experiences that occurred during sleep transition, patients were asked, "Just before falling asleep or just after awakening, have you had the sense that you are outside of your body and watching yourself?" A similar question was posed to survey out-of-body experiences during near death, which asked subjects if during their experience they had "clearly left the body and existed outside it." Because the arousal system controls or influences sleep-wake states, alertness and attention, Nelson and the research team questioned whether people with near death experiences may already have an arousal system predisposed to allowing intrusion of REM sleep elements during the transition between wakefulness and sleep. Sleep paralysis is a common form of REM intrusion, which can cause a condition of temporary paralysis along with visual or auditory hallucinations immediately after waking up or before falling asleep due to an ill-timed disconnection between the brain and the body. Although it was once considered very rare, about 25 percent of all people have probably experienced sleep paralysis sometime during their life. During a medical crisis, Nelson said muscle paralysis combined with an out-of-body experience could show many of the same prominent features of a near death experience. Near death experiences are responses to a life-threatening crisis, and are characterized by a combination of disassociation from the physical body, euphoria and transcendental or mystical elements. This investigation supports the notion of out-of-body experiences as an expression of arousal in near death experiences and sleep paralysis. Almost all of the near death subjects having sleep paralysis, 96 percent, also had an out-of-body experience either during sleep transition or near death. "The strong association of sleep paralysis with out-of-body experiences in the near death experience subject is curious and unexplained," Nelson said. "However, persons with near death experiences appear to have an arousal system predisposed to both REM intrusion and out-of-body experiences."